Enjoy more relaxing and productive hunts. Track and train your dog on the same screen from a single handheld unit. One handheld + one collar = less clutter and things to charge. Know when your dog is out of gun range. Know when your dog is running too big BEFORE your dog gets too far out. Know BEFORE your dog leaves the property OR gets too close to a highway. E-Collars: What's in the Garmin ALPHA? Reinforce known commands. Stop problem behaviors / break trash. Train ANY dog from the most stubborn to the most sensitive. 2.5 Second Update Rate means: you'll know twice as fast when your dog is in birds or treed. 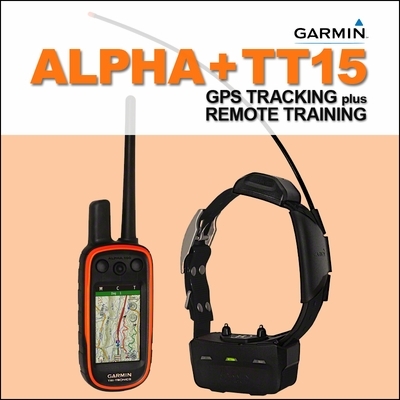 Garmin Alpha TT15 Owner's Manual, downloadable in .pdf format. Click here to read the Garmin Alpha TT15 Owner's Manual. Contains top-notch features such as a high-sensitivity GPS receiver, long battery life, a bright sunlight readable color display and a rugged IPX7 waterproof exterior. Bright orange tough handheld. Feels good in your hand. The Garmin ALPHA now has 4 Gigabytes internal memory (3.5GB are used by TOPO maps) as well as a micro SD card slot so you can add additional pre-programmed data cards with detailed maps. E-collar Improvements -- give you the full functionality of a $500 remote trainer for only $250 more than the price of an Astro alone. You can recreate your favorite Tri-tronics e-collar or build a custom set-up with the perfect stimulation types and settings for each one of your dogs. 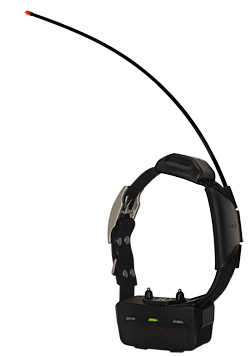 The Garmin ALPHA system works really well as BOTH a training collar AND a hunting collar. ALPHA has the consistent stimulation levels that Tri-Tronics has used for years. Garmin has given us two different ways to select/label stimulation levels. TRADITIONAL STIM -- The first is called "Traditional" and matches the 6 levels Tri-Tronics now uses with each level having a low, medium and high for a total of 18 levels. This will allow folks to exactly match the stimulation setups of any of the Tri-Tronics collars. LINEAR STIM -- If you prefer a slightly faster way to raise and lower levels with the ALPHA, then I recommend the "Linear" stimulation setup. It gives you 18 levels that exactly matches the low, medium and high levels that TT uses in its Pro series collars. AUDIO TONE -- We also have the exact same tone so if you dog has been trained with it, there shouldn't be any issues. We are also pleased that the ALPHA tone is a good bit louder than we have seen from TT collars lately. VIBRATION -- Garmin has added Vibration as an additional non-stimulation option on the TT15 collar. Waterproof (IPX7) TT-15 Collar is an improved designed based on the popular TT-10 collar. Plastic-coated nylon collar strap. Won't stink. Lasts longer. Takes all the abuse a hunting dog can give it in the rough terrain where you hunt. User replaceable collar strap. Different colors for different dogs. 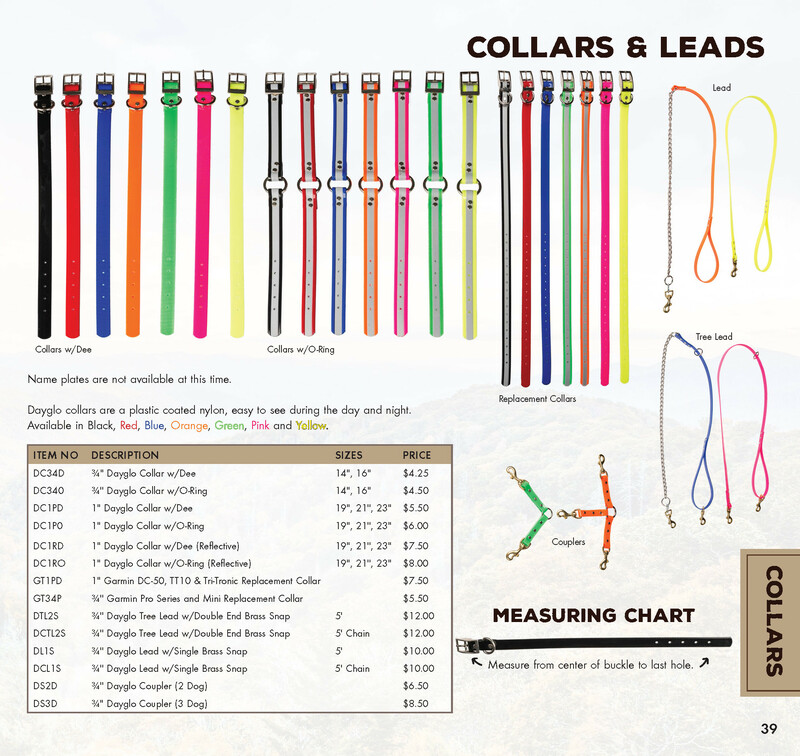 Fits neck sizes between 13" and 22"
See the ground that you and your dog actually cover in a day's hunt on a map. Use the Waypoints and Tracks and the Dog Tracks feature from the ALPHA Handheld you can download your days hunt into your PC using either MapSource or Motionbased.com to see your hunt on a topo map or Google Earth. Mark the exact location of your coveys using a special waypoint feature. Place your coveys on a map and mark the time of day, elevation, number of birds in the covey and number of birds taken. While the Garmin ALPHA is designed for the hunting dog, many of our customers that don't hunt but enjoy spending time outdoors with their dogs and allowing them to run off leash will find the Astro incredibly useful. The Garmin ALPHA is perfect when your dog is not by your side. Hiking, camping, horseback riding or bike riding, the Garmin ALPHA will allow your dogs more freedom but allow you to keep a close eye on them and help you locate them if they get lost. Since the Garmin ALPHA serves as a full-featured handheld GPS unit, it will keep you from getting lost, too. Charge a collar and handheld at the same time. RED light = collar is charging. GREEN light = when fully charged.